Ontario Fills Up on Pin-Back Buttons. Its no surprise that Canada has some of the cleanest drinking water on the planet, but for some reason we continue to spend our hard earned bucks on bottle water. 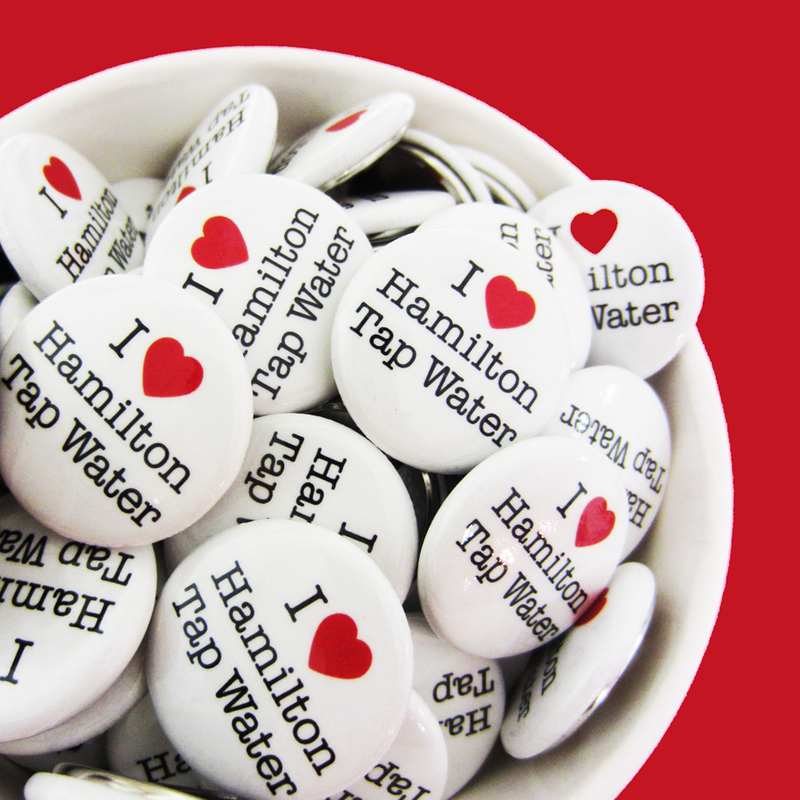 Every year Six Cent Press teams up with The city of Hamilton to embarking upon the “I Love Hamilton Tap Water” campaign to promote and educate the community on the quality of their drinking water resource. Ontario has the highest standards in the world related to drinking water. Strict monitoring, sampling, and testing procedures and regulations, have created an extremely safe and reliable system. Hamilton has high quality raw water sources and a filtration system that produces water that consistently exceeds Ontario’s standards. The City of Hamilton is committed to providing water to its citizens that is reliable and safe. Municipalities throughout Ontario choose Six Cent Press to quench the thirst for custom made pin-back buttons when engaging the community with valuable information & pressing issues.